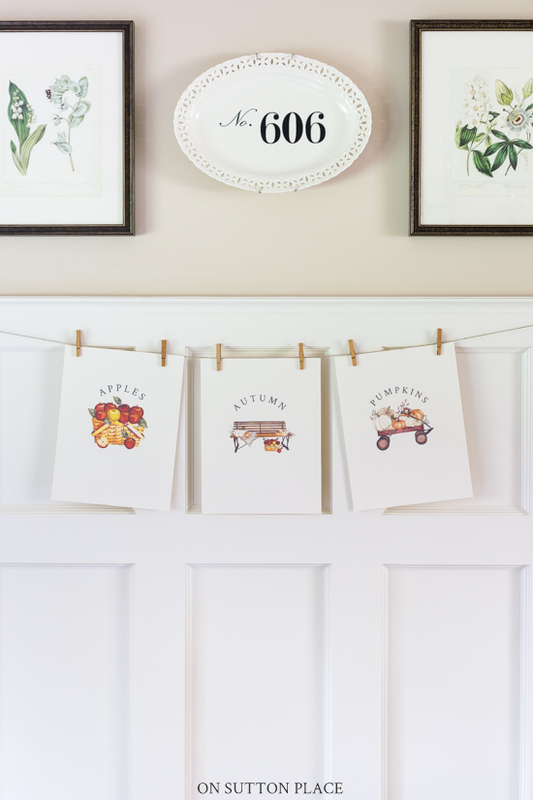 Use these new free fall printables to easily make your own DIY wall art. 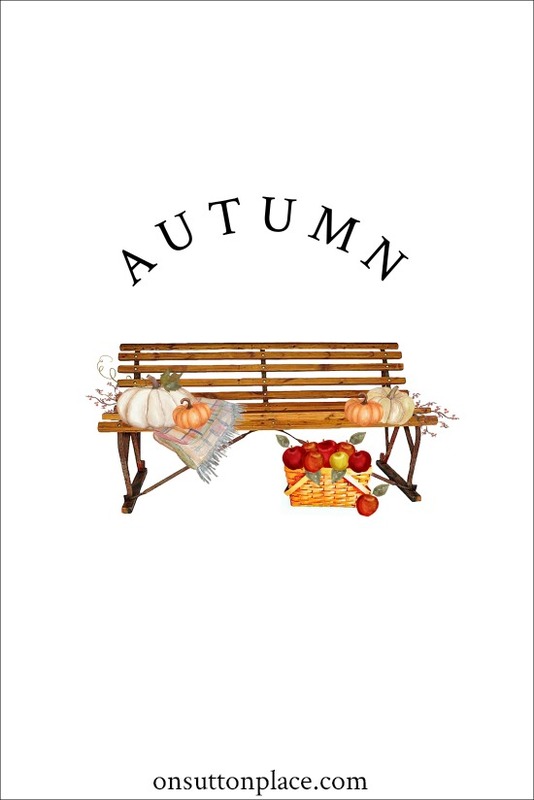 Just download and print for instant autumn decor! Autumn, apples, pumpkins. All words that bring to mind the season of fall. That’s why I featured them in the most recent addition to the OSP Members Only Library. The library is a growing collection of printable wall art, banners, gift tags, ebooks, checklists and more. I believe that everyone should be able to decorate their home for the changing seasons…no matter what their budget. That’s why I offer a library of free printables here on my blog. In addition to that, there is an exclusive, members only library that contains more printables that are not available to the general public. 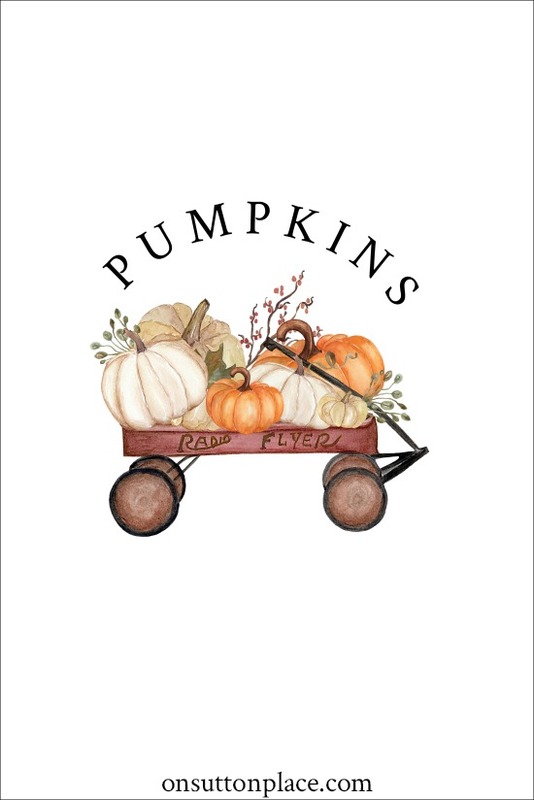 That’s where you’ll find these casual, farmhouse-inspired free fall printables. Use these high resolution printables to make DIY wall art, banners, cards and more. Frames with removable backs make it super easy to make your own seasonal wall art. You can even purchase already-cut mat boards. Or string up a piece of twine and hang the printables from clothespins. In just a few minutes and for not much money, you can have custom wall art for your home. « Pumpkins, Succulents, Shelves, and More! These are very cute…thanks so much. You are such a wonderful artist. Doubly wonderful that you share it with those of us less artistically gifted. Thank you for the beautiful printables. 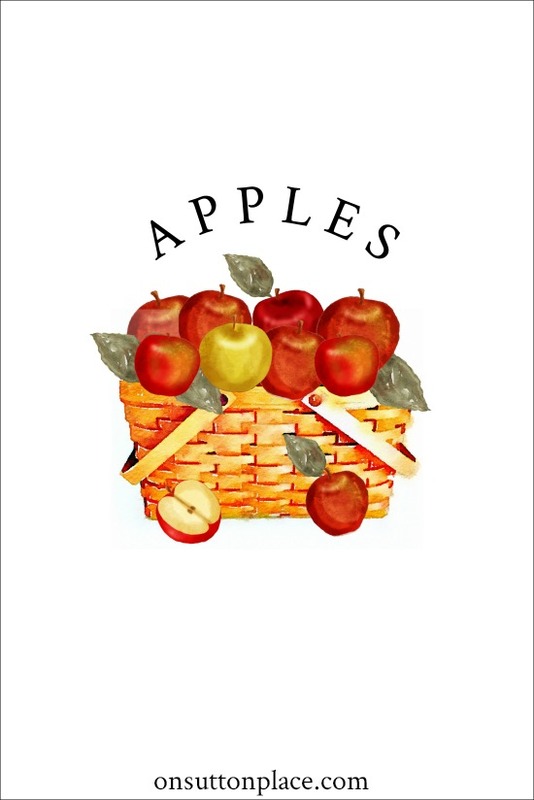 I hope to donate three Fall Printable pictures to our Fall Ladies Dessert NIght for their auction table. I would ensure that OSP is noted as the originator of the artwork. Before I do that, I want to be certain that this is allowed. Hi Tina! Yes, I would be honored for you to use the printables. Thank you very much for asking! from most. Keep it up I do look forward to seeing your next idea . Thank you! I love fall! It’s always rewarding to open your email attachments. 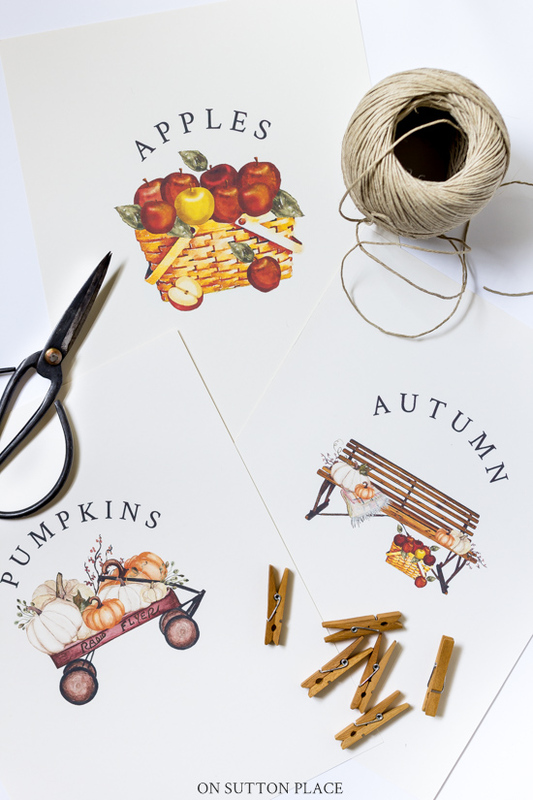 These fall printables are beautiful. 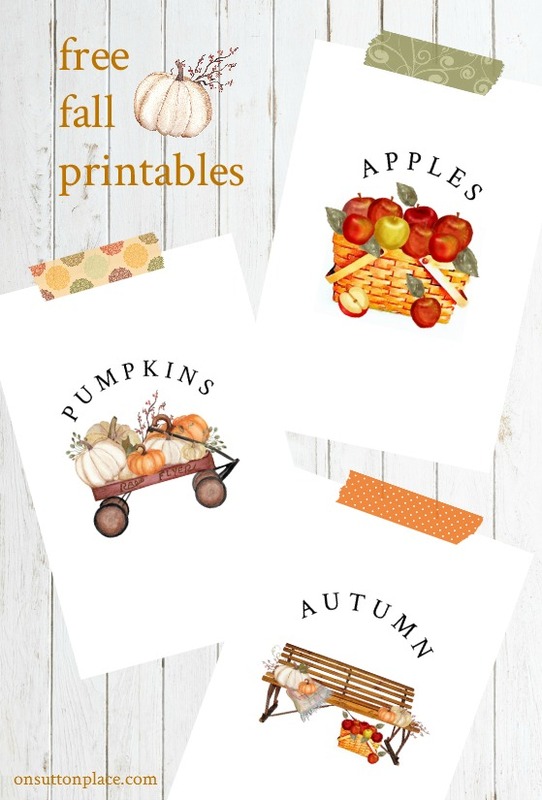 Thank you so much, Ann, for the beautiful fall printables. The designs are wonderful, the colors vibrant and I love all three. These will definitely be framed and hung on one of the walls in my ladies’ Bible study room. I so appreciate your generosity. God bless! Can these printable be used as an iron on to make seasonal hand towels? through the process of using the printables in the above mentioned way. Ann, you have the nicest way for us to get things you offer. To put in password and scroll down is such a pleasure. Thank you so much. Dear Ann, thank you for the gorgeous artwork. I am trying to ignore the onset of Autumn even though it is throwing it down with rain here on the south coast of England. Autumn is my favourite season I’m still not ready to embrace it in August :). However the artwork has got me thinking.